These two are such sweethearts, both individually and together. Their soft spoken and gentle love for each other was apparent from the second we met... I love how easy they make it all seem, especially after a first date that involved a restaurant that didn't have any vegetarian options for Chinnu, a vegetarian (!) and a long distance relationship for some time while Chinnu attended Indiana University in 2014. Luckily for everyone, the second date at the Indiana state fair was much more of a success; more relaxed, less formal and they were both able to be themselves! 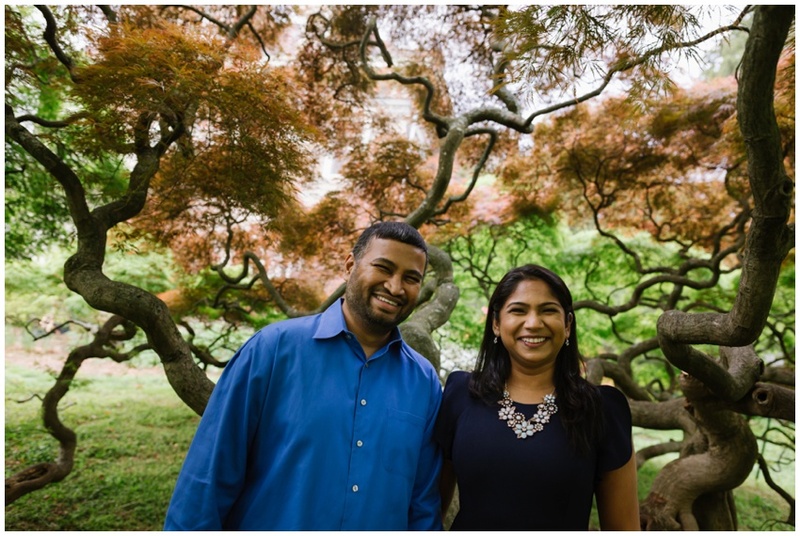 I love how their engagement photos turned out even more special because they were dressed nicely, as opposed to just rolling out of bed during the early morning hours! Read on... for their proposal, I'll let you hear the story directly from Chinnu herself! "We drove to Wilmington Beach in North Carolina at the end of October 2017. We stayed at the Blockade Runner Hotel in Wilmington. We were there for a 4 day weekend. I knew we were getting engaged at some point. We had gone ring shopping and I had picked out 5 rings/styles I really liked. I did not know Suganth would propose on this trip. Also, I know he wanted to inform my parents he was going to propose, and I didn't think that had happened yet. I found out later that he had made a secret trip to inform my parents. He did not tell his parents he was going to propose. I was excited to get away from work for a few days and have a nice time at the beach. Suganth insisted we watch the sunrise on our first morning of vacation - I was irritated. I felt like the first morning of vacation should be a lazy, sleep in kind of day. I woke up and sort of got ready. It was cold, I was in a sweat shirt and fleece pants. I planned on going back to bed once the sun came up. My grumpy mood lifted once we got to the beach, it was so peaceful and beautiful. I was glad we were watching the sunrise. We sat on a towel and watched the sunrise. Just as the sun was coming up over the horizon, Suganth got up, got on one knee and proposed. I have beautiful pictures of the sunrise and my engagement ring, but none of us because we were not dressed properly. In the evening, we dressed up and asked a random couple on the beach to take a picture of us." We can not wait to celebrate with you and your families at the Belvedere Hotel! And I can't thank Jason Cheung of Lost Note Productions enough for connecting us! Friends of friends are my favorite kind of client and this time is no different... I'm honored, grateful and so excited to be a part of your day!